WEDDING BOW TIE NAVY BLUE PINK AND IVORY ROSES. 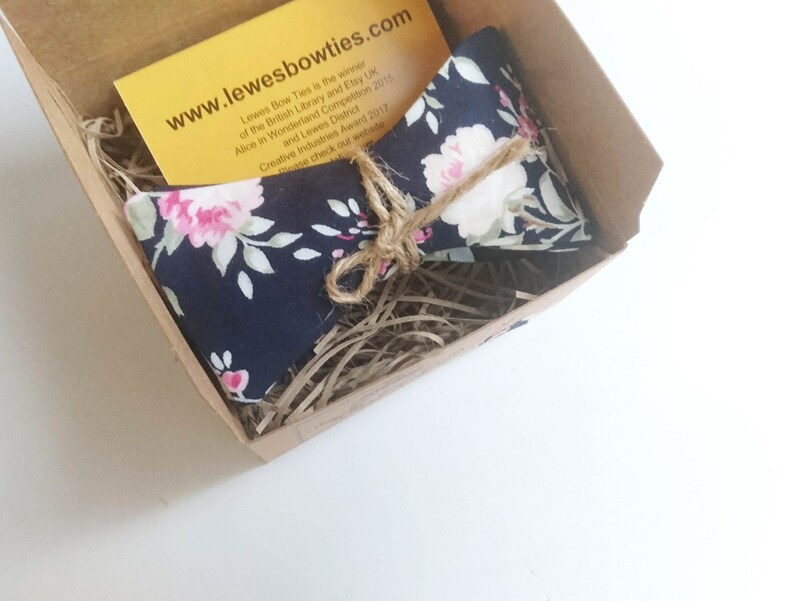 Blue pink and ivory roses self tie bow tie is made from 100% finest cotton. 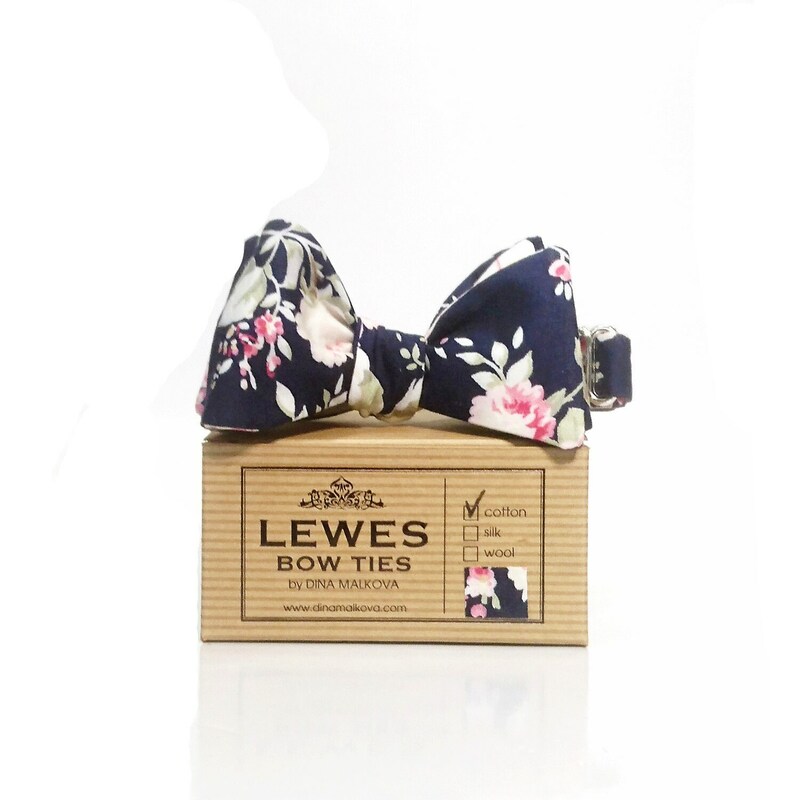 This bow tie is adjustable to fit neck sizes 15″-18″.